HAPPY NEW YEAR 2018. This is my First Blogpost of 2018 and I am happy that I have been actively blogging since July 2014. 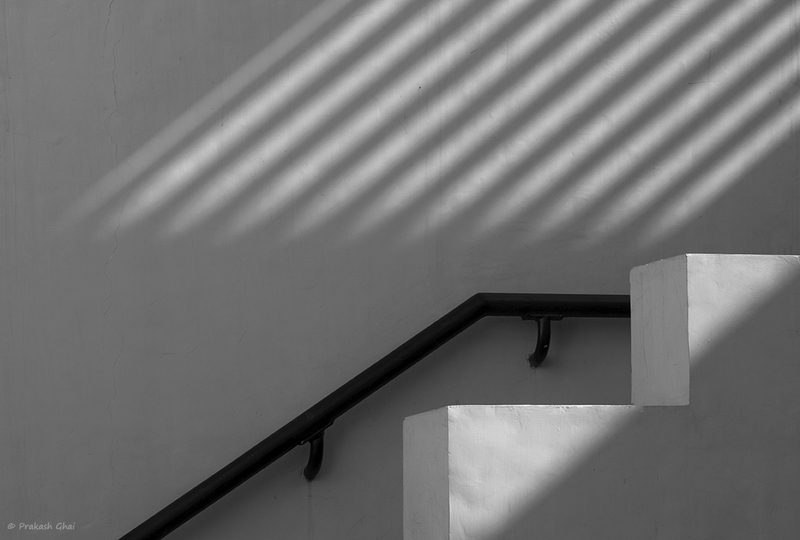 I begin my year with this Monochrome Staircase Minimalist Photograph. This photo falls under Minimalism as Simple Geometry category under Minimalist Photography. I included only a little part of the staircase on the right of the frame. I left some space on the top to include the multiple lines formed by the light and shadow differential. Photo was shot in color but converted to Black and White later in an editing software. Initially during editing, I increased the contrast and the brightness a lot, but later I realized that I overdid that part. So, I cut down on the brightness and contrast a bit and increased the highlights. Thank you for taking out time to go through my blog post.